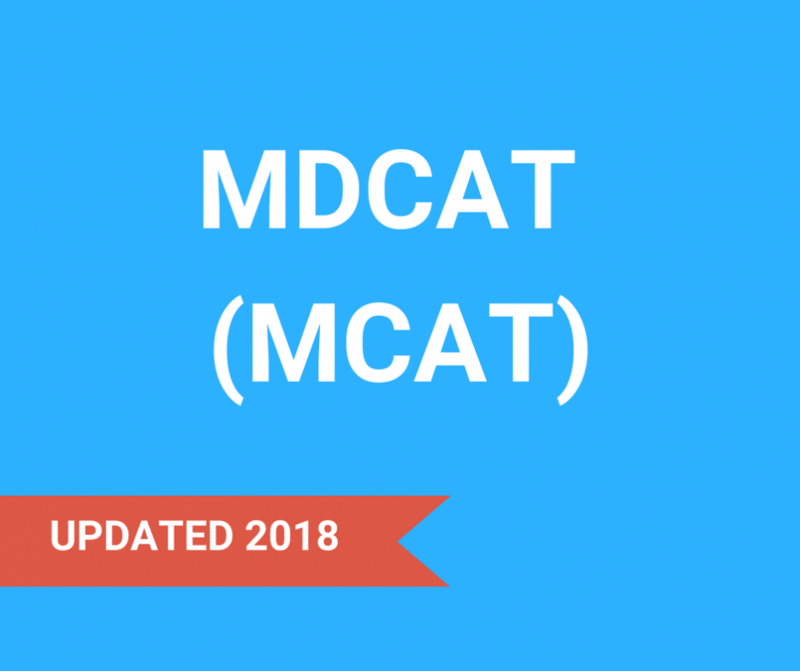 MDCAT (MCAT) | UPDATED INFORMATION 2018. For someone who is seeking an admission in Punjab’s government or private sector Medical or Dental College, this article is the complete guide. It provides all the information one needs about MDCAT and the admission process of Punjab’s Medical and Dental Colleges. To begin with, MDCAT, previously known as MCAT, is the Medical & Dental Colleges ‘Admission Test. According to PMDC, it is a compulsory admission test for admission in MBBS and BDS programs in all public and private division medical and dental Institutions. Any candidate who has their domicile of Punjab and wants to get admission against open merit, disabled, under-developed districts and reciprocal seats in public sector colleges and for local seats in private sector colleges of Punjab has to take MDCAT (MCAT). Those candidates who desire to get admission against foreign seats can either take MDCAT (MCAT) or they can present their SAT II scores. They also have the option of presenting their American MCAT. 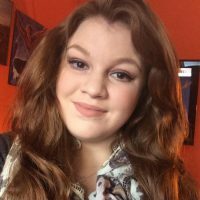 The validity period for SAT II/MCAT scores is 2 years. Providing these scores is a prerequisite for admissions. For SAT II the minimum scores should be 550/800 for Biology, Chemistry and Physics or Mathematics while the American MCAT scores must not be less than 24 in old scoring system and 498 in new scoring system. When applying against open merit seats, the candidate must have a domicile of any district of Punjab. Moreover, the candidate must have appeared in the current MDCAT (MCAT) of Punjab, with an aggregate percentage equal or more than 84%. SAT II/American MCAT scores are not acceptable for open merit seats. Merit from amongst the Punjab-domiciled applicants is considered for the admission of these seats. The applicants considered must have taken the MDCAT (MCAT) and passed HSSC/F.Sc. (Pre-Medical) or equivalent examination with a minimum of 60% marks. In addition to that, the applicant must provide a disability certificate from a government certified specialist. A Medical Board along with Chairman Admission Board will make the final decision about the admissions. However, the decision will be based on merit against these reserved seats. A candidate applying against these reserved seats must have a domicile of an above mentioned district (or area). The candidate should have studied, from primary to higher secondary classes (class one to twelve) from any institutions of above mentioned districts. The candidate should submit original certificates from Principals of the concerned institutions. Moreover, the certificates should also be & verified by EDO and DEO and countersigned by DC. These reserved seats are additional to open merit seats from these districts. The admission board will allocate a seat to such an applicant purely on merit. Candidates applying under this category have to submit applications directly to the Joint Admission Committee, Peshawar. Moreover, the applicants have to appear in the Admission Test Admission Test of KPK and not IN Punjab’s MDCAT. On the basis of their merit score of the entry test i.e. MDCAT (MCAT) the admission board will choose eligible to interview. The Ministry of SAFRON will then get a list of the eligible candidates. Also, students of Gilgit-Baltistan can apply to the Directorate of Education, Gilgit-Baltistan against these reserved seats. However, the candidates should appear in MDCAT (MCAT). The students of Azad Jammu & Kashmir and refugees of Jammu & Kashmir domicile shall apply to Joint Admission Committee, Muzaffarabad, and Azad Jammu & Kashmir for these seats. They will have to give the State Entry Test conducted by the Government of Azad Jammu & Kashmir and cannot appear in MDCAT (MCAT). Refuges from Jammu and Kashmir must have State Subject Certificate. Foreign students and students of Pakistani-origin having dual nationality can apply against these seats if the applicant and his/her parents have a permanent foreign nationality. The applicants seeking admission under this category should submit their applications to the Government of Pakistan. The candidate must provide a certificate stating that he/she has passed HSSC/12th grade examination with minimum of 60% marks. Moreover, the applicant should have either appeared in MDCAT (MCAT) or passed SAT-II examination with a minimum score of 550 in each subject or passed American MCAT with minimum aggregate score of 24.Moreover, if the applicant is from such an institution where the medium of instruction is not English then the applicant should have valid TOEFL or IELTS with a score of 500 or 5.5 respectively. Further, 76 open merit seats are now available for the children of overseas Pakistanis/dual nationality holders of Pakistani origin. The University of Health Sciences Lahore will make the selection against these reserved seats. The candidates and their parents should have valid Residence Permit of a foreign country verified by the Embassy of Pakistan and a valid Domicile of any district of Punjab. The Parents should have valid Overseas Pakistanis Foundation membership and not have less than 05 years of continuous stay back, in a foreign country. Additionally, the candidate should have passed HSSC (Pre-Medical)/ equivalent examination with at least 60% marks, with Biology and Chemistry as compulsory subjects. The candidate should have appeared either in Punjab's Admission Test or SAT II examination (minimum of 550/800 marks in each subject) or has cleared USA’s MCAT with an aggregate score of 24 or above (498 or above as per new scoring system). The fee structure for these reserved seats is the same as that for Open Merit Seats for local students. The requirement for candidates nominated for admission under reciprocal seats is that they must have passed HSSC/FSc (Pre-Medical) or equivalent examination (at least 60% marks) and appeared in the admission test of their province. 14 students from Punjab will be admitted into the medical colleges of provinces of Baluchistan and KPK and the State of Azad Jammu and Kashmir. Also, Punjab-domiciled candidates applying for admission on Open Merit seats will also be eligible to apply for reciprocal seats. As a goodwill gesture, the Government of Punjab has allocated 20 seats for Baluchistan domiciled students for admission in medical institutes of the Punjab on unilateral basis. The Baluchistan Government will nominate the seats. Applicants have to order the medical and dental colleges in order of preference, starting with their first choice while filling out the application. The order of preferences once given will be final. The assessment and ranking of an applicant will be done considering his/her preference and college’s merit. Once offered a place to the highest listed preference, an applicant cannot demand admission to a college named lower in his/her preferred list. Moreover, applicants should not repeat a college’s name or indicate only one college. Only Open merit seat’s applicants can opt for all colleges while other category applicants can opt for only those colleges where that category's reserved seats are available. So, for both MBBS and BDS programs, an applicant has to submit one form only. Admission form is submitted by hand and all the documents (as given in the Prospectus) should be attached with it. Also, admission form or documents once submitted cannot be returned or altered, under any circumstance. Moreover, revision of result or improvement of marks after the closing date can not affect the current year's merit list. Incomplete, unsigned or late admission forms will not be considered hence rejected. A Muslim Hafiz-e-Quran will get 20 marks (added to HSSC/FSc or equivalent marks). However, a committee verifies the rightful owners of these marks. Committee will comprise of eminent Huffaz-e-Quran and the chairman admission board through a structured test of the claimant. The test registration schedule is available at the university. 100% proficiency in Hifz is required at the time of test by the candidate to get the marks. So, these 20 marks are to be added in FSc marks. Therefore, the merit will be calculated by adding 40 per cent of Hifz-e-Quran marks in the previous aggregate score. The admission committee selects the final candidates. The e candidates applying against open merit seats are selected on the basis of merit, choice and availability of seat. Furthermore, whenever there is a tie in the percentage after calculation of merit, the one senior in age is preferred. In case the tie continues, the one with higher matriculation score is preferred. 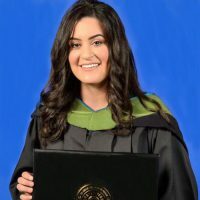 If considered necessary, the admission board may call any candidate for an interview and can refuse admission to any candidate who it sees, for recorded reasons, to be unsuitable to become a good doctor. Also, the legal guardians must accompany all the candidates at the time of interview. At the time of admission, every medical/dental student has to submit a Surety Bond worth Rs. three million. It states that he/she would serve the Government of the Punjab, Health Department as “Probationary Medical Officer / Woman Medical Officer” in the primary healthcare facilities for a period of one year after completing the foundation year/house job. In case he/she fail to fulfil the commitment, he/she shall be liable to pay Rs. three million to the Government”. (Health Department Notification No.S.O. (ME)9-4/2015 dated 24th August, 2015). For self-finance seats, the students have to apply to the Economic Affairs Division, Government of Pakistan Ministry of Finance & Economic Affairs division, Islamabad. The Health Department, Government of the Punjab will receive the list. Then, the final list will reach the concerned college. A student who is already studying in any medical/dental institute can get admission in a government Medical & Dental Institution of the Punjab. The candidate will have to surrender the previous admission. He/she will not have the entitlement to any credit of examinations passed as well as dues and have to appear in the current year's MDCAT (MCAT). He/she shall have to disclose his/her previous admission in the Admission Form. If the candidate provides any false document. The candidate was not entitlement for admission according to the admission policy for medical/dental institution of Punjab. If he/she fails to report for admission or deposit the fee on due date.